The “No 7-Eleven” protest group reports that neighbors of an East Village 7-Eleven are getting steamed about illegally placed air-conditioning units that are keeping them up at night. 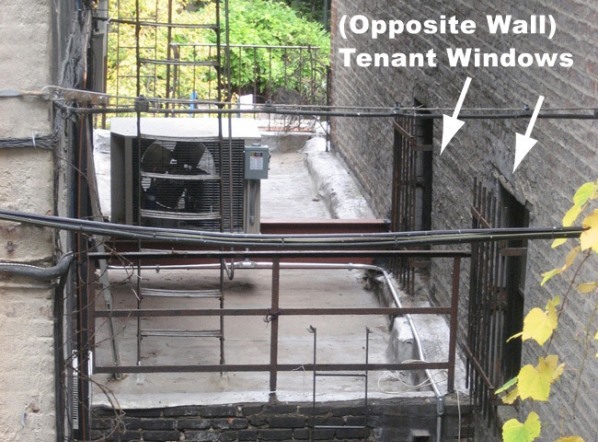 “Last week, we had an update on 7-Eleven and Westminster Management’s illegally placed AC and refrigeration units at the newish Avenue A 7-Eleven which, so far, have racked up $17K+ in fines. Today, we hear first hand from tenants who live in these buildings how the plethora of units outside their windows impact their lives, for example, like not being able to sleep in their bedrooms. Hey fuggedabboutit! Whatya gonna do?